Product illustrations may not be actual size. Immediate Delivery On All Products Anywhere In the U.S.! 10 ounce, 100 ounce, and 1000 ounce (for storage). 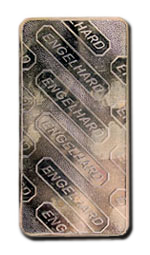 Manufactured by Engelhard Corporation and Johnson Matthey PLC. 1 ounce. 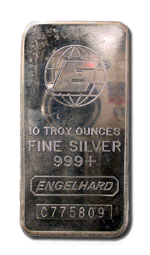 99.9% pure silver. 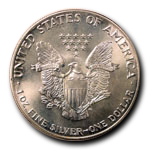 American Eagle Silver Bullion Coins are the only silver bullion coins whose weight and purity are guaranteed by the United States Government. 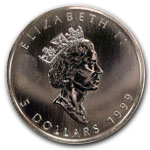 Theyre also the only silver coins allowed in an IRA. 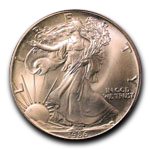 Minted since 1986, the design of the Silver Eagle is based on Adolph A. Weinmans 1916 Walking Liberty half dollar. 1 ounce. 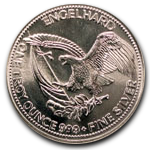 The bullion coin shown here is a silver trade piece cast by Engelhard in 1985. 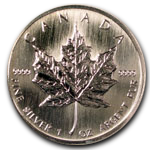 First minted in 1988 by the Royal Canadian Mint, the Maple Leaf is one of the worlds most famous silver coins. 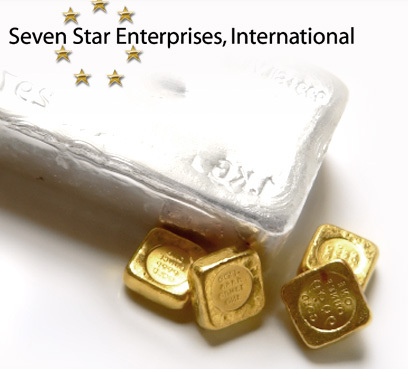 It is one ounce of 99.99% pure silver. 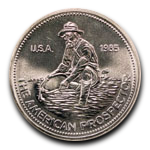 It also has the lowest mintage of all North American silver bullion coins, resulting in constant demand. Open from 10am to 8pm Monday through Friday!